The candidates in the 11th Parliamentary Election slated for Dec 23 will have to waits three days after the polls symbols are allotted to kick off campaigns. In the past elections, the commission allotted symbols to candidate three weeks prior to election day in line with the regulations. Section 44B of the Representation of the People’s Order (RPO) as well as of the electoral code of conduct stipulates that campaigns cannot commence at any time 21 days prior to date fixed for the election. The polls schedule announced by the KM Nurul Huda-led Commission set Nov 19 as the last day to submit nominations and Non 29 as the deadline to withdraw. Speaking to the media on Friday, EC Secretary Helaluddin Ahmed said that the polls symbol will be allotted to candidates on Nov 30 while the three weeks countdown to voting starts on Dec 2. 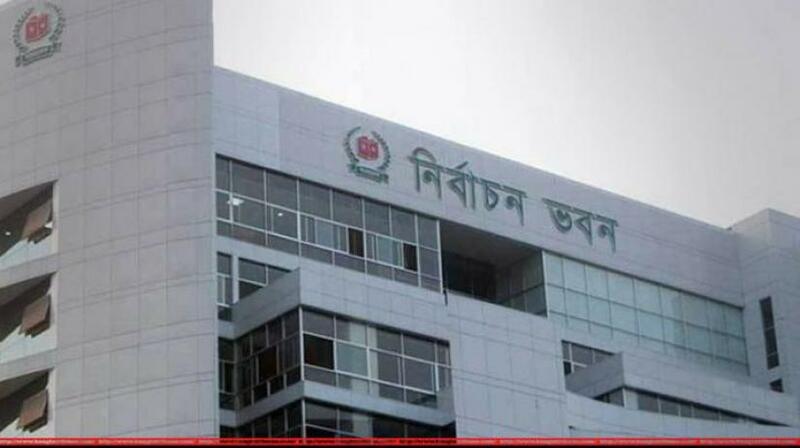 He, however, told Bangla Tribune on Saturday that the candidates can start campaigning as soon as the polls symbols are allotted. “The countdown is not a factor. Campaigns can kick-off, whether it’s 21 days prior to voting or 23 days is not a matter,” said the EC official. However, former election commissioner Shah Newaz says that the law stipulates of no campaigns at any time before three weeks prior to voting and it has to be that way. “It’s not clear (in the law) that whether the Commission can issue an official circular on it,” he added. Former election commissioner M Shakhawat Hossain echoed. “There’s no option to interpret the law in any other way. The EC has to act in line with the laws and regulations, but if they ignore then there’s nothing to say. But someone can move the court challenging it,” he told Bangla Tribune.